California faces the worst drought in the state's recorded history, prompting concerns that an era of "megadroughts" could have returned to the state. Learn what you can do about it. 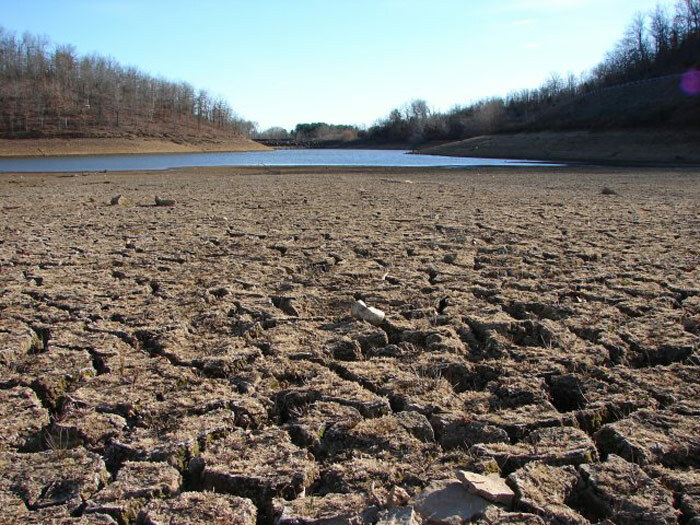 According to the Ventura County Star, California’s current drought is being called the driest period in the state’s recorded rainfall history. Scientists who study the West’s long-term climate patterns say the state has been parched for much longer stretches before the earliest records of rainfall were kept, starting 163 years ago. The most recent prolonged dry period has brought concern that “megadroughts” typical of California’s earlier history could come again. The two most recent “megadroughts” were a 240-year-long drought that started in 850 and, 50 years after the conclusion of that one, another that stretched at least 180 years. California in 2013 received less rain than in any year since it became a state in 1850. Despite a snowstorm earlier this year, the snowpack in the Sierra Nevada Mountains stands at just twelve percent of the average level, the lowest measurement in the half century records have been kept. Many Californians think that population growth is the main driver of water demand statewide, but the demand actually comes from agriculture. In an average year, farmers use eighty percent of the water consumed by people and businesses. A “megadrought” today would have catastrophic effects on California’s farmers and other statewide industries. Last month, Governor Jerry Brown declared a state of emergency, urging residents to conserve water as much as possible. California has banned fishing in some drought-prone rivers, and the Governor has asked residents to turn off the water while brushing their teeth. The majority of the state’s agricultural water, as well as drinking water for large parts of Silicon Valley, Los Angeles, San Diego and other major metropolitan areas, comes from the Sacramento-San Joaquin River Delta. California Governor Jerry Brown in conjunction with various other state agencies, have offered a potential solution, called the Bay Delta Conservation Plan (BDCP), seven years in the making. The $25 billion plan is a high-stakes blueprint to restore the Sacramento-San Joaquin River Delta. The plan features two large water tunnels and habitat restoration to protect many species of animals. While state and local leaders continue to work on long-term solutions to California’s water challenges, saving water on a daily basis will help stretch supplies. How Californians choose to use water in the coming months and years will have an enormous impact on just how bad the drought becomes. Learn how you can conserve water through the Save Our Water website. The California Water Alliance, an educational, non-profit, non-partisan organization with over 4,000 members focused on providing comprehensive water solutions to California. The Groundwater Guardian is a program of the Groundwater Foundation that provides support and encouragement for communities of all types (cities, counties, watersheds, schools, etc.) to begin groundwater awareness activities, motivation to continue these efforts, and recognition for their achievements. Want to get children involved? Check out the Kids Corner tab on the website! The U.S. Water Alliance is a nonprofit working today to explore the complex issue of water sustainability and plan for the future by improving public awareness that advances holistic, watershed-based approaches to water quality and quantity challenges. In Southern California, through the Bureau of Reclamation’s Water Conservation Field Services Program (WCFSP), Reclamation encourages and facilitates water conservation and efficiency improvements, and assists agencies in meeting their demands for limited water resources. Learn More about the Bay Delta Conservation Plan. Blumenauer Announces "Balancing Food, Farm, and Environment Act"
Learn More about farming practices that preserve and protect farmland and its surrounding environment and that provide safe, nutrient-rich food by checking out the videos in our media gallery (right there, to the left).